This recipe has never failed me. The salmon shines, with a delicate and minimal supporting cast. I typically make this recipe as-is, but you could dress it up with fresh herbs, garlic, curry, or whatever your foodie heart fancies. What I love most about this recipe is how tender and juicy the salmon is...and what I LOVE even more is how much my children freakin' ADORE this recipe. No joke, this salmon gets a better reaction than Santa Claus in my house. They are ages 2 and 4, for context. Sanity-saving tip: If you do not own an internal thermometer with an alarm feature, BUY ONE. This is the one I use. Prescribing cooking times is a recipe for disaster (see what I did there?). Ovens vary, ingredients vary, the home cook’s creative inspiration varies, so I often cook to temperature, not to time. 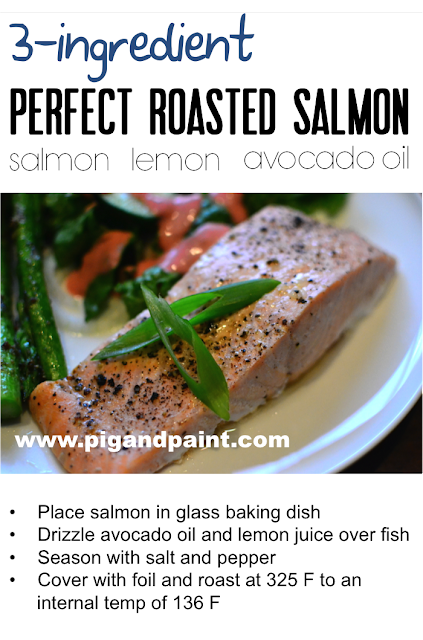 Arrange salmon in glass baking pan. Squeeze lemon juice all over salmon — depending on how juicy your lemon is and how much salmon you are preparing, you may only want to use half a lemon. This is completely to taste! 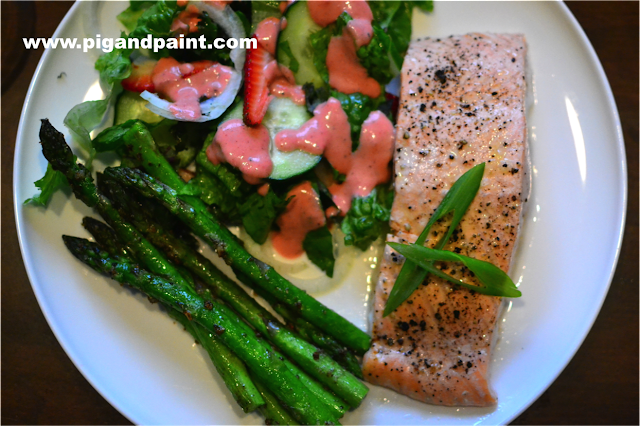 I prefer a lemon-y salmon, so I tend to lean towards more, rather than less. Drizzle melted butter over fish. Season with salt and pepper. Insert internal thermometer with alarm set for 136 F, cover pan with foil, and bake until the salmon reaches an internal temperature of 136 F. If you don’t have an internal thermometer with an alarm feature, cover pan with foil, and bake for 15-20 minutes, and remove salmon once it reaches an internal temperature of 136 F. Allow fish to rest, covered, for 5 minutes. 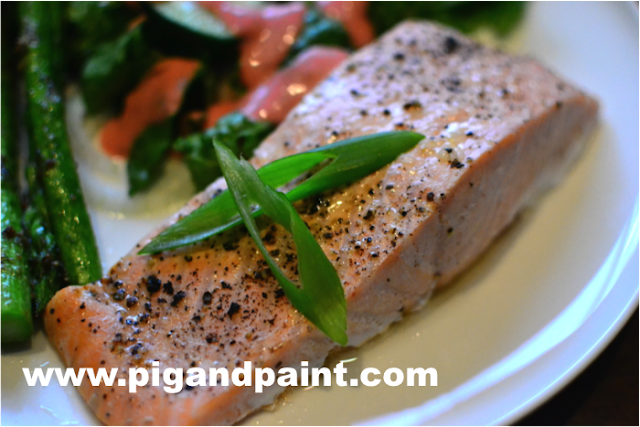 The result is perfect, juicy, tender salmon every time.